Have you ever been a real detective? In this game you must help the detective, who lives in a very strange place. He has to solve a lot of strange cases. And you are the only one who can help him. Just click on different objects and explore this territory. Just have faith in yourself. Welcome to the dark city, where your task is to solve a lot of problems and help the detective. 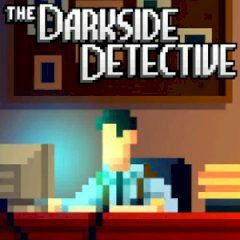 Just play as a detective Francis McQueen, he is an investigator of creepy happenings, and sole member of the Dark side Division. Are you ready for that? This game is relatively standard point-'n-click fare, but it's got a nice-'n-breezy sense of humor running throughout. So, if you are ready to sink into the cool adventures, then do not waste your time and help this guy! And you will be not disappointed. Have a lot of fun here! Ready? Then solve all cases!